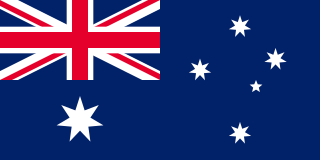 An expatriate is a person temporarily or permanently residing in a country other than their native country. In common usage, the term often refers to professionals, skilled workers, or artists taking positions outside their home country, either independently or sent abroad by their employers, who can be companies, universities, governments, or non-governmental organisations. Effectively migrant workers, they usually earn more than they would at home, and more than local employees. However, the term 'expatriate' is also used for retirees and others who have chosen to live outside their native country. Historically, it has also referred to exiles. The Harkness Fellowships are a programme run by the Commonwealth Fund of New York City. They were established to reciprocate the Rhodes Scholarships and enable Fellows from several countries to spend time studying in the United States. The many notable alumni listed below include the president of the International Court of Justice; former Chairman and CEO of Salomon Brothers; a former Vice-Chancellor of the University of Cambridge; the controller of BBC Radio 4; the editor of the Sunday Times; former directors of the Medical Research Council, the London School of Economics and the General Medical Council; and, a vice-president of Microsoft. Edward Lewis Ferman was an American science fiction and fantasy editor and magazine publisher, known best as the editor of The Magazine of Fantasy and Science Fiction (F&SF). 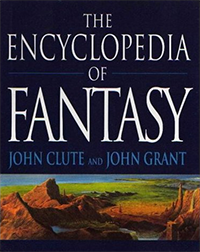 The Encyclopedia of Fantasy is a 1997 reference work concerning fantasy fiction, edited by John Clute and John Grant. Other contributors include Mike Ashley, Neil Gaiman, Diana Wynne Jones, David Langford, Sam J. Lundwall, Michael Scott Rohan, Brian Stableford and Lisa Tuttle. Edward Frederick James is a British scholar of medieval history and science fiction. He is Emeritus Professor of Medieval History at University College, Dublin. 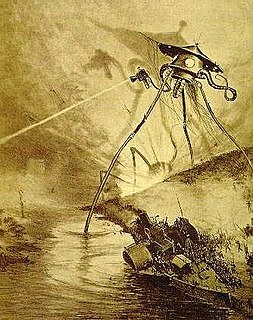 Science-Fiction Handbook, subtitled The Writing of Imaginative Fiction, is a guide to writing and marketing science fiction and fantasy by L. Sprague de Camp, "one of the earliest books about modern sf." The original edition was published in hardcover by Hermitage House in 1953 as a volume in its Professional Writers Library series. A revised edition, by L. Sprague de Camp and Catherine Crook de Camp, titled Science Fiction Handbook, Revised, was published in hardcover by Owlswick Press in 1975 and as a trade paperback by McGraw-Hill in 1977. An E-book version of the revised edition was published by Gollancz's SF Gateway imprint on April 30, 2014. Richard Neil Barron was a science fiction bibliographer and scholar. His training was as a librarian. He is perhaps best known for his book Anatomy of Wonder: A Critical Guide to Science Fiction. He won the Pilgrim Award for Lifetime Achievement in the field of science fiction scholarship in 1982. He died on September 5, 2010 in Las Vegas, Nevada. John Grant is a Scottish writer and editor of science fiction, fantasy, and non-fiction. Fantasy Book is a defunct semi-professional American science fiction magazine that published eight issues between 1947 and 1951. 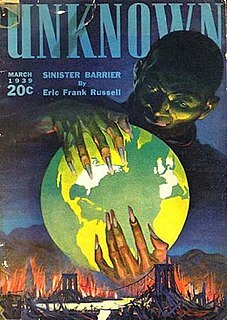 The editor was William Crawford, and the publisher was Crawford's Fantasy Publishing Company, Inc. Crawford had problems distributing the magazine, and his budget limited the quality of the paper he could afford and the artwork he was able to buy, but he attracted submissions from some well-known writers, including Isaac Asimov, Frederik Pohl, A. E. van Vogt, Robert Bloch, and L. Ron Hubbard. The best-known story to appear in the magazine was Cordwainer Smith's first sale, "Scanners Live in Vain", which was later included in the first Science Fiction Hall of Fame anthology, and is now regarded as one of Smith's finest works. Jack Gaughan, later an award-winning science fiction artist, made his first professional sale to Fantasy Book, for the cover illustrating Smith's story. ↑ Clément Solym. "Mort de Peter Nicholls, éditeur de l'Encyclopédie de la science-fiction". 6 March 2018. Retrieved 2018-03-06. 1 2 3 4 Clute, John; Nicholls, Peter. "Nicholls, Peter". The Encyclopedia of Science Fiction. Retrieved 2018-03-07. 1 2 3 4 5 6 7 8 9 "Peter Nicholls (1939–2018)". Locus . Retrieved 2018-03-07. ↑ The Encyclopedia of Science Fiction edited by Peter Nichols and John Clute, National Library of Australia website. Retrieved 2018-03-10. ↑ "1980 Hugo Awards". World Science Fiction Society. Archived from the original on 7 May 2011. Retrieved 2010-04-19. ↑ The What If Man (2004). Ronin Films (roninfilms.com). ↑ "Alien Star". Highbeam Business. 1 March 2003. Archived from the original on 8 March 2018. Retrieved 2018-03-07.